The Large Hadron Collider (LHC) at the European Organization for Nuclear Research (CERN), the most massive and complex science experiment in human history, is a prime example of global achievement through collaboration. Driven by a multinational community of researchers, engineers, and technicians from over 100 countries, the LHC has enabled us to push the boundaries of scientific knowledge. Now, the machine is in the process of a major upgrade to boost performance -- and Canada, including a team of McGill researchers, is playing a key role. The Honourable Kirsty Duncan, Minister of Science and Minister of Sport and Persons with Disabilities, on June 25 announced a $10 million contribution to mission critical components in support of the High-Luminosity Large Hadron Collider (HL-LHC), a major overhaul to significantly improve the performance of the LHC and, as a result, enhance the probability of discovering new physics. Working with the Canadian research community and industry, experts at TRIUMF, Canada’s particle accelerator centre, will lead the production of the Canadian components with a $2 million in-kind contribution for a total project value of $12 million. 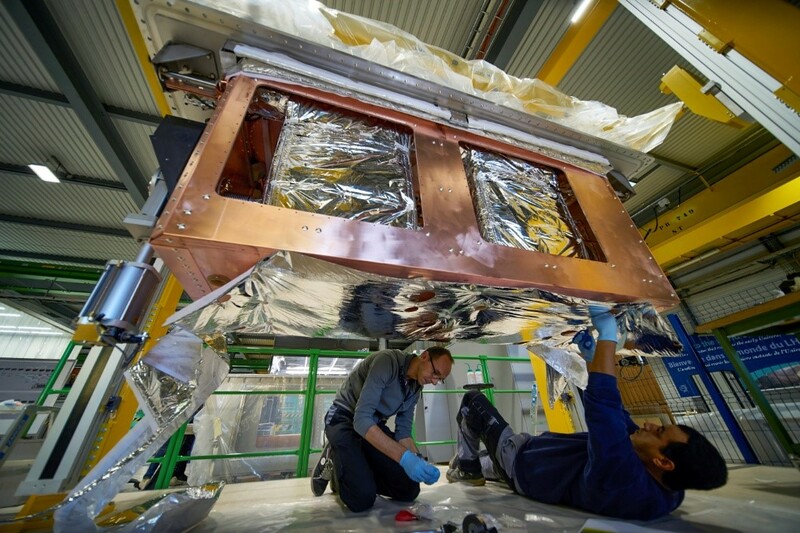 The Canadian community is applying its world-leading expertise to tackle a mission-critical challenge for the upgrade: building five new particle accelerator components called crab cavity cryogenic modules. These are super-sophisticated ‘coldboxes’ that will house the crab cavities. The crab cavities will rotate bunches of subatomic particles before they smash together, significantly increasing the number of collisions, or luminosity, of the LHC. To operate effectively, the crab cavities require a highly regulated, constant ultra-low temperature environment, which is a daunting challenge due to the harsh conditions in the operating LHC – the world’s largest and most powerful particle accelerator. Canada is a world-leader in the cryomodule technology that will surround the cavities, and will leverage both TRIUMF’s unique network of expertise and the capacity of Canadian industry to design, fabricate, and deliver the crucial upgrade components over the next five years. With a history of providing mission-critical cavity technology to international science collaborations and successfully transferring these technologies to industry, the Canadian community is uniquely positioned to provide a high-impact, lasting contribution for the benefit of international science and society. To complete the cryomodule project, TRIUMF will call on expertise from its diverse member university base, including contributions from McGill, the University of Alberta, University of British Columbia, University of Calgary, Carleton University, Université de Montréal, Simon Fraser University, the University of Toronto, the University of Victoria, and York University. As a contribution to the HL-LHC research program, members of McGill’s ATLAS research group are playing a significant role in the design, construction and eventual commissioning of the readout electronics for a part of the ATLAS detector responsible for precisely measuring the energy of particles produced in proton-proton collisions. ATLAS, one of the four major experiments at the Large Hadron Collider, uses precision measurement to push the frontiers of knowledge by seeking answers to fundamental questions such as: What are the basic building blocks of matter? What are the fundamental forces of nature? Could there be a greater underlying symmetry to our universe? In total, there are over 250 researchers, graduate students, and technical staff from leading Canadian universities and TRIUMF involved in the CERN programme.